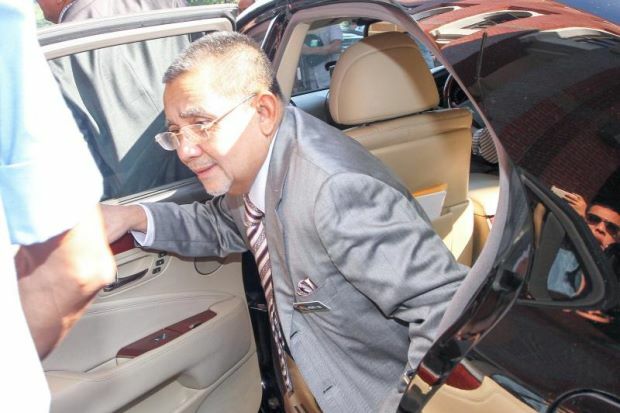 SINGAPORE (The Straits Times): The Malaysian authorities are preparing to charge former Umno leader Isa Samad with abuse of power, relating to an overpriced hotel purchase when he was chairman of national land agency Felda. Sources told The Straits Times yesterday that the Malaysian Anti-Corruption Commission (MACC) had wrapped up its probe into Felda’s 2014 purchase of the Merdeka Palace hotel in Kuching, Sarawak, and would recommend charges to the Attorney-General’s Chambers (AGC) next week. “There was insufficient evidence (to charge him) due to limited access before, but investigators picked up where they left off when new proof emerged,” a source said, declining to elaborate further. “The MACC will be submitting the completed investigation papers and its recommendations to the Attorney-General’s Chambers next week. “It will then wait for AGC’s order for the next course of action,” the source said. According to another source, the anti-graft agency is looking to level several charges against Tan Sri Isa under Section 23 of the MACC Act, for alleged abuse of power. “Attorney-General Tommy Thomas was briefed on the case… two days ago,” the source said yesterday. Merdeka Palace, a five-star hotel with 213 rooms, was bought by Felda subsidiary Felda Investment Corporation for RM160mil, when it was supposedly worth only RM110mil. Isa, formerly chief minister of Negri Sembilan, took charge of the Federal Land Development Authority (Felda) in 2011. He stepped down in January last year after the agency and its listed arm Felda Global Ventures racked up debt and suffered financial losses. Felda’s debt stood at RM8bil as at the end of June this year. A government audit in 2016 found that under Isa’s leadership, Felda invested in dubious projects which collectively lost more than RM100mil. These included forays into data management, broadband Internet services and sturgeon farming. Notre Dame of Gaza: Our Mosques and Churches Are also Burning By Ramzy Baroud – The Palestine Chronicle As the 300-foot spire of the Notre Dame Cathedral in Paris tragically... The post Notre Dame of Gaza: Our Mosques and Churches Are also Burning appeared first on Future Fast Forward.